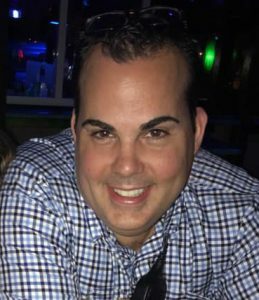 Phillip Cropper, CEC, CWPC, CCE was born and raised in Ocean City, Maryland and is a graduate of Stephen Decatur High School where he participated in Gwen’s theatre program. He attended Baltimore International College where he studied international business and culinary arts. Phil traveled and studied throughout Europe before returning to Ocean City to become the executive chef at The Hobbit restaurant for 10 years. Phil was the founder of Artful Designs LLC, a special event company and design firm, and has owned and operated the Palette restaurant in Snow Hill, Maryland. Phil is now employed by the Worcester County Board of Education where he teaches culinary arts at Worcester Technical High School. He is a certified executive chef, pastry chef and culinary educator through the American Culinary Federation. Phil currently lives in Ocean Pines, MD with his life partner Keith Hall M.Div, and has three wonderful step-kids. He serves as a member of the Ocean City Fire Department and is on the Board of Directors of the Worcester County Arts Council. In addition, on weekends, Phillip manages the kitchen at Fager’s Island restaurant.